A charming small town of 2,500 people, Dayton is located in the beautiful Willamette Valley, in Yamhill County, Oregon. Founded in 1850, the town has a rich pioneer history, with 41 places on the National Historic Registry. The central feature of the town is a historic town square park in the downtown where families and residents enjoy congregating. The business district, with shops, cafes and restaurants, centers around this town square. Dayton’s central location, with convenient access to State Highways 18 and 221, makes it easy to take advantage of all the great attractions that are found in the Willamette Valley. 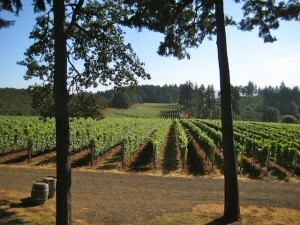 Surrounded by the bounty of the valley, it is situated less than 5 miles away from 47 of the wineries and vineyards in the Dundee Hills AVA, 4.5 miles from the Evergreen Aviation & Space Museum and Water Park, 7 miles from downtown McMinnville, and 12 miles from historic Willamette Mission State Park. Dayton is 21 miles from Salem, 35 miles away from Portland, and 57 miles from the beautiful Oregon coast. 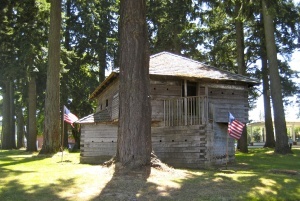 Pioneers who had headed west with “Oregon fever” in the 1840s and 50s discovered Dayton’s attractive location at the headwaters of the Yamhill River, a tributary of the Willamette River in the fertile agricultural Willamette Valley. Dayton was a major grain shipping center for this area of the valley, before there were passable roads and railroads. Steam boats stopped regularly here, picking up wheat and carrying it down the rivers to Portland. The city of Dayton was co-founded in 1880 by pioneers Joel Palmer and Andrew Smith, who made the original land claims in the late 1840s. Palmer kept a diary of his experiences on the Oregon Trail, which was published in 1847 as Journal of Travels over the Rocky Mountains. This publication served as a popular guidebook to immigrants. Joel Palmer became Superintendent of Indian Affairs for the Oregon Territory and later, state representative and then state senator. His stately home, built in 1852 in downtown Dayton at 600 Ferry Street, has been restored and is now an acclaimed restaurant, The Joel Palmer House. Farmers in Yamhill County in the late 1800s and early 1900s grew grain, hay and seed, hops, apples, cherries, prunes, and a variety of other fruits and vegetables. The Dayton Evaporating Company, the largest in the state, was built in 1898 and evaporated eggs, apples, prunes, and vegetables, and made vinegar as well, until ceasing operation as an evaporator in 1944. Floods and fires challenged the residents, but they rallied, rebuilt, and forged onward. Agriculture is still an important part of the valley’s economy, and a drive around the Dayton of today reveals bucolic fields with crops such as berries, hay and seed; nurseries; orchards with peaches, apples, cherries, hazelnuts, prunes, and walnuts; and of course vineyards tucked up in the rolling hills. The City of Dayton website offers historical photos and more information about Dayton’s history.